PeopleGoal | What Makes a Good Team? PeopleGoal Blog > What Makes a Good Team? A good team is the foundation for any high-performing business. Superficially, a thriving team looks very much like any other. However, it is what occurs unbeknown to a mere observer which separates a good team from the best team. The attitudes, the behaviours, the interactions, the language and the environment all add up to create a thriving team. Dr Tim Baker recently produced an interrelated model for the key characteristics of a successful team. 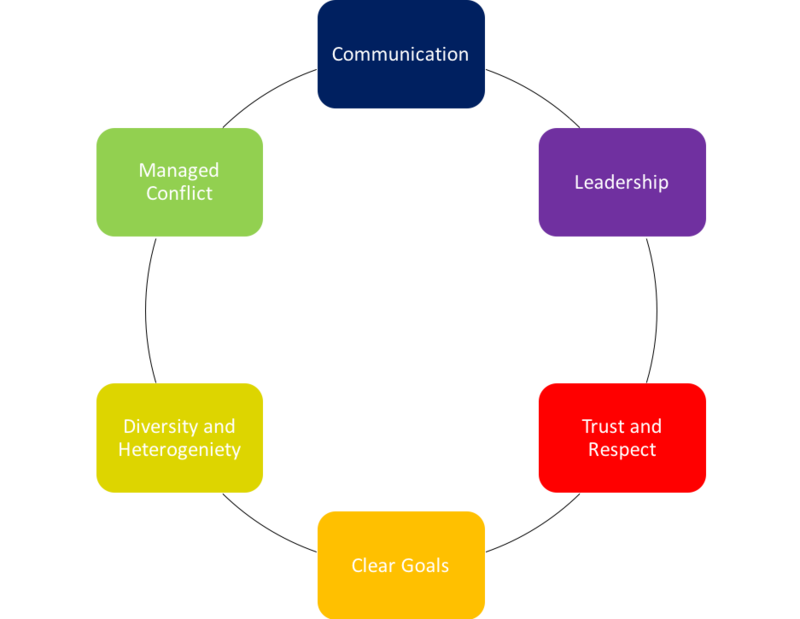 Put simply, if your team displays one of these characteristics, it is likely that they will also exhibit other characteristics as well. However, the reverse is also true for negligence of a characteristic. That is, if a team ignores one of the characteristics, it will have a consequential negative impact on other characteristics. Below is an adapted version of Dr Baker’s model. Included are six constituent factors for what makes a good team. Arguably the most important component of the group. Effective communication is central to every facet of an organisation. A thriving team has open and honest discussions, sharing their thoughts, ideas and opinions. They engender a meritocracy, ensuring no-one is above anyone else and allowing everyone to feel as though they can contribute freely. Creating this sort of culture is one of the fundamental foundations of a successful team. Problems that emerge in groups can often be traced back to issues with communication. Poor communication leads to crossed wires which in turn can lead to inefficiencies in performance and even conflict! Effective communication is imperative. Thriving teams value diversity. They recognise each individual’s strengths and their preferences to assign tasks, and ultimately to boost performance. Each team member is valued for their unique talents and skills. Collectively, a diverse skill set, way of thinking, experiences, idea generation and problem solving helps to create an effective team and enhance results. The overriding factor which differentiates a group of people from an effective team is a clear goal. However, this goal needs to be more than an organisational objective: it needs to matter to the team, to be something that they will value and see the benefit in achieving. Each member knows the value of their personal contribution to the team goal. When individuals focus on the critical differences only they can instigate, results increase and teams become effective and successful. As a team, members should agree on and set goals. From here, the team can devise a plan for goal completion. What to do, who to do it, how to do it, when to do it. Each individual member is accountable and has responsibility for the team’s overall success. A good leader is an essential component of a successful team. They are the one that the team trusts and respects. The best teams are directed by a leader who is open to feedback and criticism, and who can communicate the team's vision and the organisation's vision. They foster employee engagement and development. They are even willing to share leadership - deferring to other members of the team and using collaborative practices when they are necessary. Every thriving team relies on a high degree of trust. When you know that your colleagues are reliable and competent, you can trust them to work independently toward the team goal. Teams are most effective when there is a mutual respect between members. Leaders are imperative in creating a culture of trust and respect. For example, leaders could generate mutual trust by rewarding behaviours that build trust and encourage individuals to lead by example. Alternatively, leaders could encourage language that supports collaboration and dialogue between team members, and even across the organisation. This is an essential component to aiding team growth. It is important that when issues arise they are not avoided or ignored. When managed effectively there are a plethora of benefits to be seen including: the quality of decision-making; improved creativity; increased scope of view; increased participation from team members and more effective communication. It is also important for the team leader to differentiate between a culture of challenge/disagreement and blame/criticism. 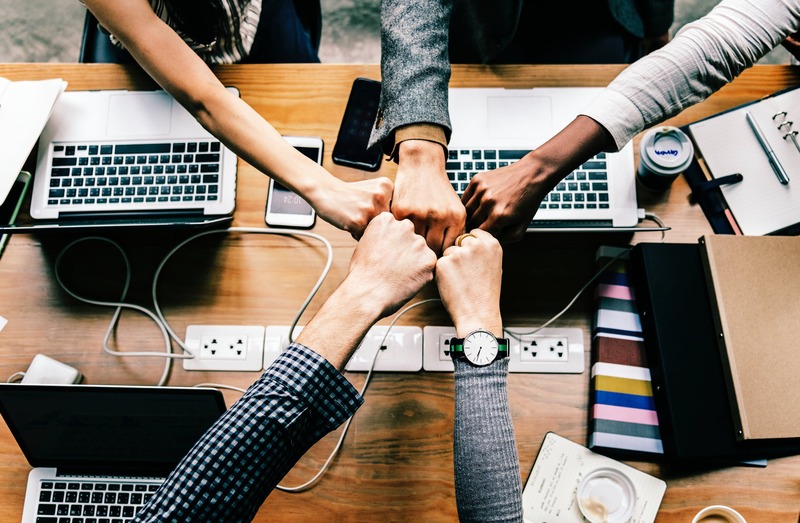 If the environment empowers team members to challenge one another in a constructive and open manner, then the working relationship within the team is likely to be more creative and productive.